Newfoundland dogs, or “Newfies” are the giant teddy bears of the dog world. They are super-sized and have super-sweet personalities to match. These gentle giants make great companions for children and are ideal for families looking for a canine companion. However, finding the best dog food for Newfoundland dogs isn't always an easy task. 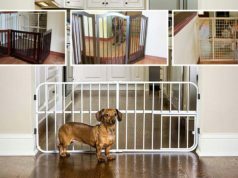 While this breed was officially recognized by the AKC in 1886, they were virtually unknown as a household pet just 20 years ago. Today their popularity continues to soar and for good reason. As I licensed veterinarian, I've seen first hand how the popularity of the Newfoundland breed has grown in recent years. I've worked closely with many pet owners who were looking for the best dog food for Newfoundland dogs. After researching many brands, I've found 10 that I highly recommend for this breed, depending on their age and overall health condition. The hallmark of the Newfie is its temperament – sweet, gentle and loyal. Developed for work in the icy waters of Canada, the Newfoundland is a born water dog performing well in water and draft tests. Most Newfies stand 26-28 inches at the shoulder and weigh 100-150 pounds as adults. On average, they live 8-10 years. Despite their larger-than-life size, they are very active dogs. They are also natural nanny dogs – very gentle and good with children. Newfies are perfect for active families living in cooler climates, just be ready to dedicate time and effort into managing their long, thick coat. When choosing the best dog food for Newfoundland dogs, you also need to take the breed's common health concerns into consideration. 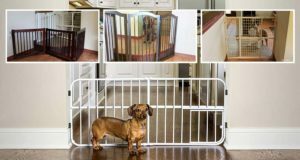 These dogs are generally a healthy breed, but they dog have some specific health issues or concerns that are more susceptible to than most dogs. Some of these conditions may be managed with a specific diet. If you are interested in food therapy for your Newfie’s condition, please talk to your veterinarian. It is extremely important that you consult an expert, like your vet or a trained canine nutritionist, before trying to treat any health conditions with diet or supplements. If not done properly, a change in nutrition could actually do damage to your dog's overall health and well-being. The Newfoundland is generally a healthy breed. There are few reported breed-associated diseases, but some of the more common ones can be prevented or treated by a proper diet. If you have concerns about your Newfoundland’s health and how diet can make a difference, please consult vet or a canine nutritionist. Cystinuria in Newfoundland dogs is caused by an autosomal recessive genetic disease. The defect affects the tubules within the kidneys. It involves how the kidney processes dibasic amino acids and cystine. An excess of cystine is secreted by the kidneys, which aggregate and create stones within the urinary tract. Both male and female Newfies can be affected, but males seem to have cystinuria more often than females. There is a genetic test available through the University of Pennsylvania specifically for Newfoundlands. If you are interested in testing your Newfie puppy or breeding stock, talk to your veterinarian. Cystine bladder stones can be somewhat controlled by feeding a special diet. If your dog has been diagnosed with cystinuria, talk to your veterinarian about my recommendation as the best dog food for Newfoundland dogs suffering with this condition – Royal Canin Vegetarian. Vegetarian diets can successfully prevent formation of cystine stones. Unlike other diets that treat cystinuria, like Hill’s Prescription diet u/d, prescription vegetarian diets can be fed long-term. Like many other large and giant breeds, the Newfoundland is prone to developing hip dysplasia and elbow dysplasia. While there is a genetic component to these issues, nutrition plays a big role in their development. Hip dysplasia is the abnormal growth of the hips. Over time, the abnormality can cause painful hip arthritis, even in puppies. While selective breeding and screening can help diminish the prevalence of the genes in the breeding population, it is still present. Elbow dysplasia is a syndrome that can be caused by many different genetic developmental issues in the elbows, leading to painful degenerative joint disease and arthritis. While there is a genetic component to these diseases, there are significant nutritional risk factors that play a part during puppyhood. These risk factors are rapid growth and excess dietary calcium intake. It is not possible to prevent these issues 100% via diet alone, but feeding an appropriate puppy-specific food and not overfeeding will help. Newfoundland puppies will try to eat you out of house and home. Their large appetites are typical, but don’t cater to it too much. To be safe, don’t overfeed your baby Newfie and use a recommended breed and age appropriate puppy food. I recommend Royal Canin GIANT Puppy Food as the best dog food for Newfoundland puppies I recommend Royal Canin’s GIANT line because it is a set of two different ‘stages’ of puppy food for giant breed dogs. The first is their ‘Giant’ puppy formula, which sports a larger sized, patented kibble design to help giant puppies optimally chew their food. This food is typically fed until the pup is 8 months old. Newfoundlands, like other giant breeds, mature slowly and have slightly different nutritional requirements after 8 months of age. Royal Canin Junior GIANT Formula is great for pups between 8-24 months of age. Newfies face aging changes sooner in their lives compared with smaller breeds, so their joints need support earlier. Royal Canin Junior GIANT is fortified with chondroitin and glucosamine to nourish growing cartilage. While Royal Canin products seem pricey, they are nutrient dense and puppy parents find that over time, they spend less money than if they fed a lower-quality diet. If you can’t find Royal Canin or it is out of your price range, consider feeding Purina Pro Plan Large Breed Chicken and Rice Puppy. It is another of the best dog food for Newfoundland puppies that I highly recommend. Purina Pro Plan is an excellent alternative and Purina’s “premium” line. This large breed formula is good for growing giants and will encourage slow growth and healthy joint growth. This food stands out from the rest as it contains omega-3 essential fatty acids and glucosamine for healthy joint development. Newfies mature more slowly than smaller breeds, so their nutrition will need to be supported accordingly. It is typically recommended to switch them to an adult food when they reach 18 months of age. Their caloric needs become slightly less at this time, so it is important to pay attention to their weight and body condition. If you have started your pup with Royal Canin, it is a good idea to continue from their puppy and junior formulas onto Royal Canin GIANT Adult Formula. Giant-appropriate foods, like these from Royal Canin, are more efficiently digested, meaning less mess with better formed, smaller bowel movements. Royal Canin also takes extra care when balancing calcium levels for ongoing bone and joint support for your giant. 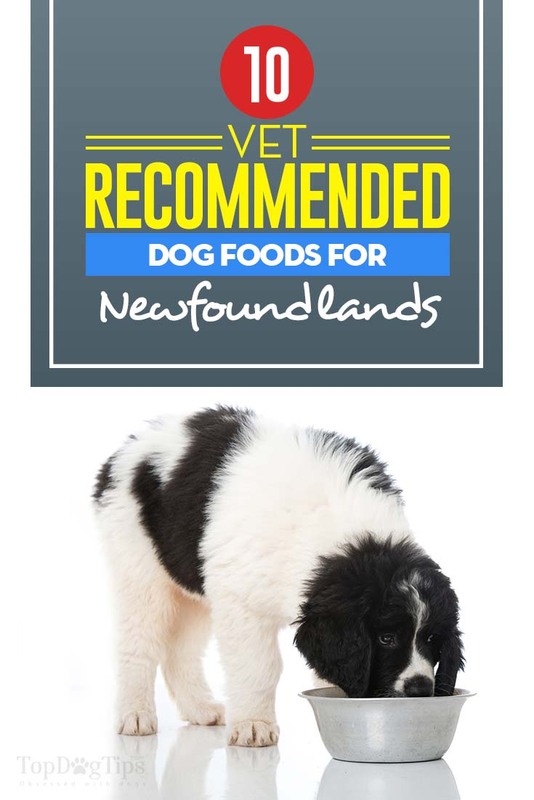 Other important ingredients in this best dog food for Newfoundland adults include omega-3 fatty acids EPA/DHA from cold-water fish, glucosamine and chondroitin sulfate. If Royal Canin isn’t available in your area or is out of your price range, check out Eukanuba Large Breed Adult Food. Eukanuba provides great taste and this formula will tempt even the pickiest eaters. It is another “premium” brand made by Iams, but at a slightly lower cost than Royal Canin. It contains healthy amounts of fiber and prebiotic fiber for optimal digestibility. Recommended joint support nutrients chondroitin sulfate and glucosamine are included. Eukanuba’s 3D Dentadefense kibble design will help to keep your dog’s teeth from accumulating plaque and calculus. Newfoundlands are very active dogs that excel in various types of sporting competitions, from water trials to obedience. Most of the time, Newfies won’t be performing sprints, so a high fat, high carbohydrate diet may not be best. Dogs that engage in long-distance or all-day trials need higher levels of protein, as dogs start to burn protein as fuel after about 30 minutes of prolonged exercise. My recommendation for the best dog food for Newfoundland adults that are extremely active is the Kinetic Dog Food Range. Kinetic makes several high-protein and high-carbohydrate foods to fit your dog’s needs. Lower protein levels (26%) is more appropriate for agility dogs, while higher protein (up to 32%) are best for dogs running longer distances. All of their products are extremely energy dense, which means you feed less volume and contributes to better stool management. If your dog only needs higher protein foods during training or trial season, you can stick with the same brand and feed their lower protein food in the off-season. Kinetic can be found online and through reputable retailers. Sadly, your Newfie will be considered a “senior” around 5 years of age. It is best to select the best dog food for Newfoundland dogs that will support their most vulnerable parts – their joints. You may see that your Newfie is slowing down a bit or seems stiff after he has been sleeping. Talk to your veterinarian and consider starting him on a food with high levels of joint support nutrients, such as Eukanuba Senior Large Breed. Eukanuba does not disappoint with this senior food for giant breed dogs. It contains higher levels of antioxidants for brain aging support and a minimum of 375mg/kg of joint supporting glucosamine. If your senior has dental tartar accumulation, this diet may help reduce tartar buildup by up to 46%. Important ingredients like whole grain barley and beet pulp will help keep digestion regular and efficient. Sometimes Newfoundland dogs can suffer from dental disease at an early age. It is perfectly okay to supplement their dry food with a quality canned or wet dog food. My recommendation is Natural Balance Delectable Delights Pawpaya Pilaf Stew. Natural Balance has individual stew formulations that are tasty and contain high levels of omega-3 fatty acids, fiber, protein and antioxidants. Their stew is packed full of easy to chew meat chunks, fruits, vegetables and a creamy gravy. It is balanced for adults and seniors, meaning you can feed it alone or in combination with a quality dry diet. Newfoundlands are incredible family members and proper nutrition will provide them a solid cornerstone of health. Across the board, keeping your Newfie in lean body condition and under regular wellness care with your veterinarian will help them live the longest, fullest life possible. Previous articleShould You Adopt a Jack Russell Terrier?